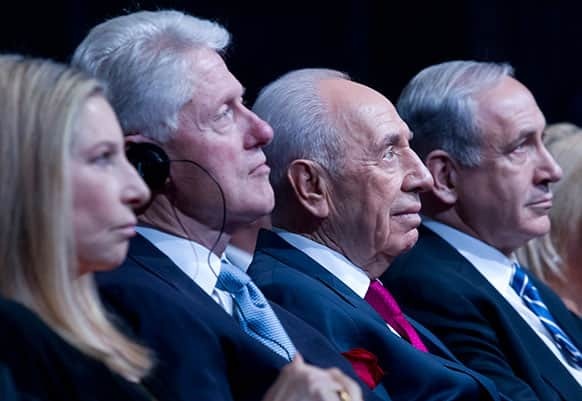 Israeli President Shimon Peres sits with former US President Bill Clinton during Peres` 90th birthday gala in Jerusalem. 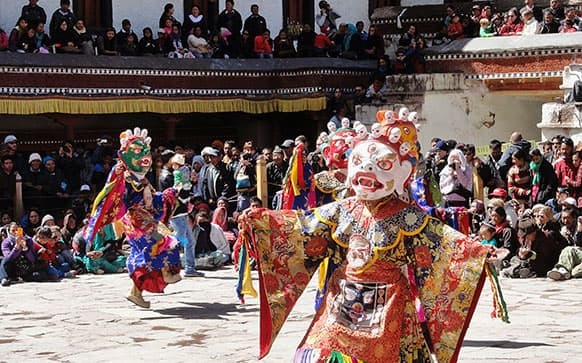 Buddhist monks in traditional attire perform a dance on the first day of the annual festival of sacred dances at the Hemis Gompa monastery, some 45 Kilometers (28 miles) southeast of Leh. 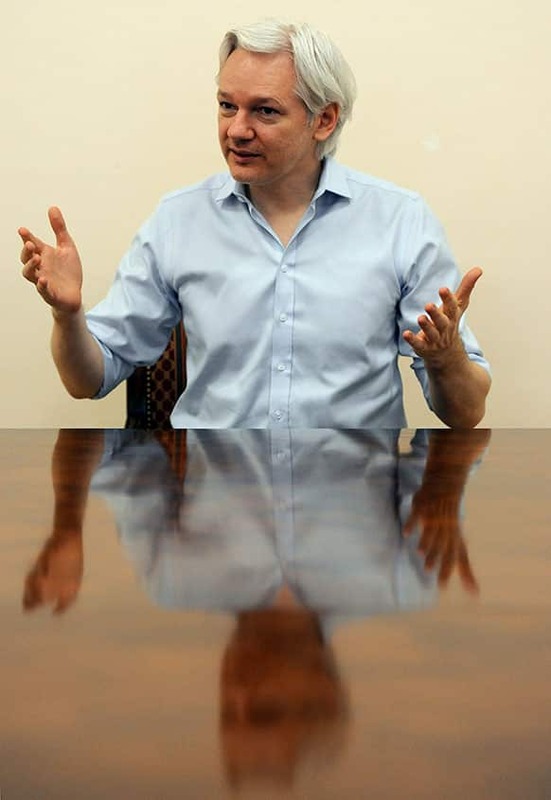 Julian Assange speaks to the media inside the Ecuadorian Embassy in London ahead of the first anniversary of his arrival there on June 19, 2012. 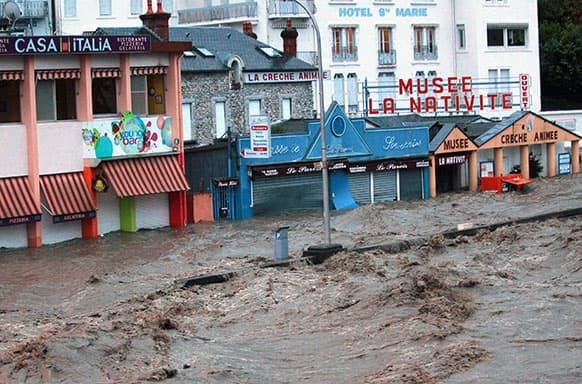 Shops in the center of Lourdes southwestern France, under water. Serbian tennis star Novak Djokovic, officially unveils UNIQLO`s Wimbledon collection at a central London store ahead of the grass tennis tournament later this month. 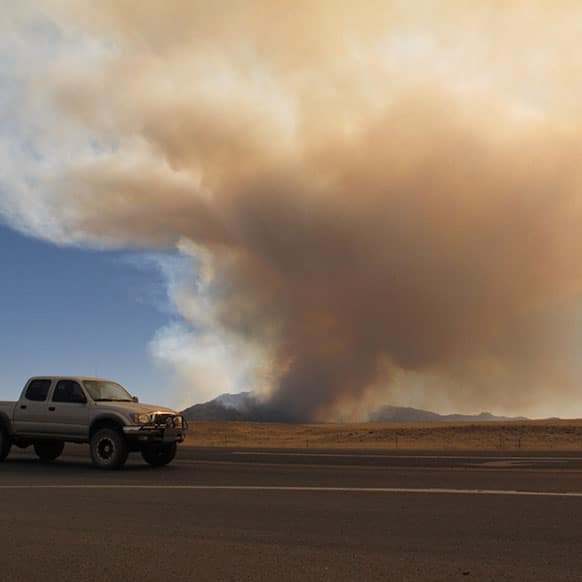 A truck moves past the so-called Doce fire near Prescott, Ariz.
Brazilians holding their country`s flag play in the updraft of a subway vent outside Lisbon`s Brazilian consulate. 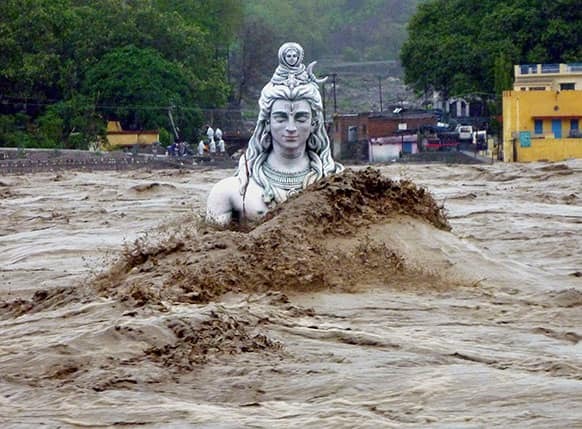 A submerged idol of Hindu Lord Shiva stands in the flooded River Ganges in Rishikesh, in the northern Indian state of Uttarakhand. 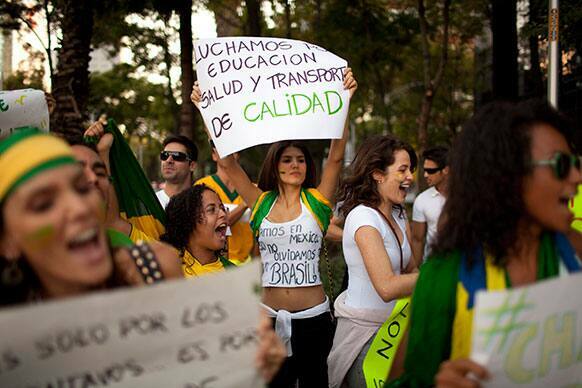 Dianine Nunes holds a banner that reads in Spanish; "We are fighting for quality in education, heath and transport," during a protest near the Angel of Independence monument in Mexico City. US President Barack Obama waves after disembarking from Air Force One at the Tegel airport in Berlin. Myanmar opposition leader Aung San Suu Kyi arrives to attend a ceremony to mark her 68th birthday at the headquarters of her National League for Democracy (NLD) party in Yangon, Myanmar. 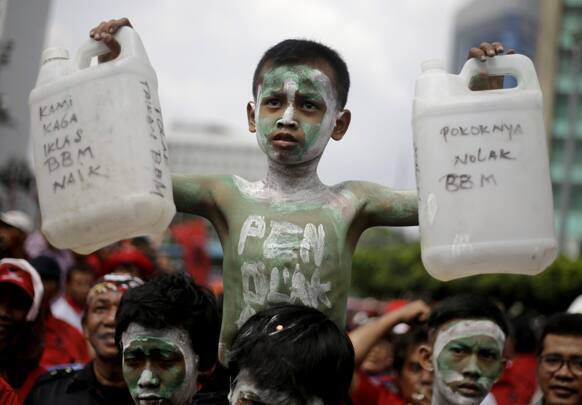 An Indonesian youth with painted face and body holds plastic jerrycans during a protest against the government`s plan to raise fuel prices in Jakarta, Indonesia. 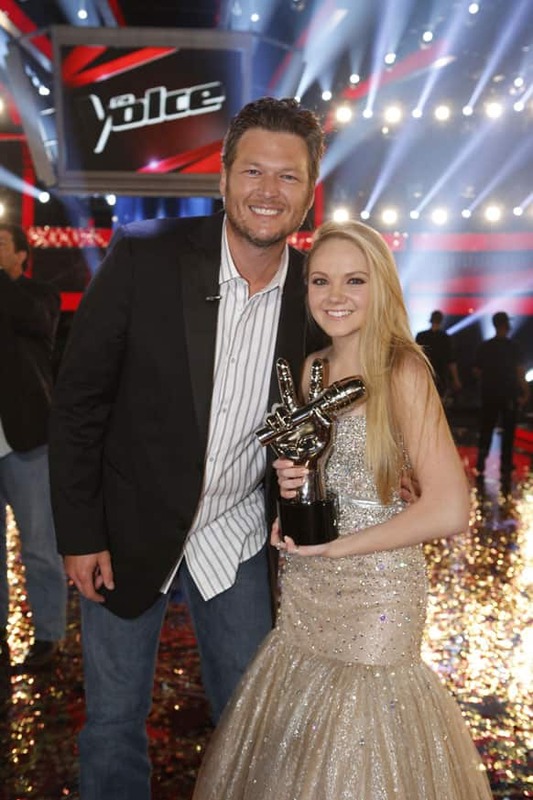 This image provided by NBC Blake Shelton and Danielle Bradbery pose after she won season-four of "The Voice". 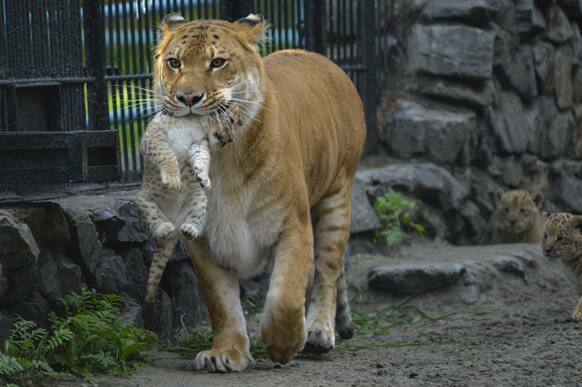 Zita, a liger - half-lioness, half-tiger - carries her one month-old liliger cub in the Novosibirsk Zoo. 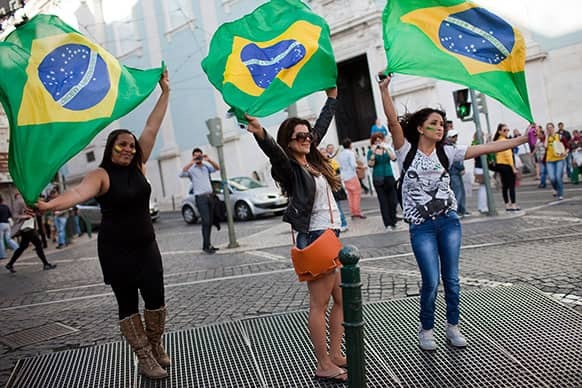 The cub`s father is a lion. 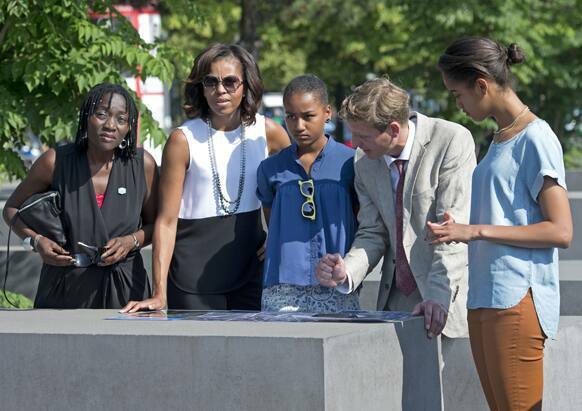 US first lady Michelle Obama, visits the Holocaust Memorial besides her husband`s half sister Auma Obama, her daughters Sasha and Malia and Uwe Neumaerker, director of the foundation for the memorial, in Berlin, Germany. 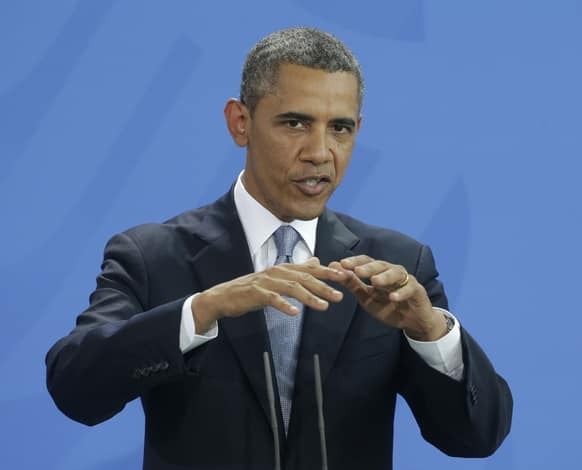 US President Barack Obama gestures during their joint news conference with German Chancellor Angela Merkel at the Chancellery in Berlin, Germany. 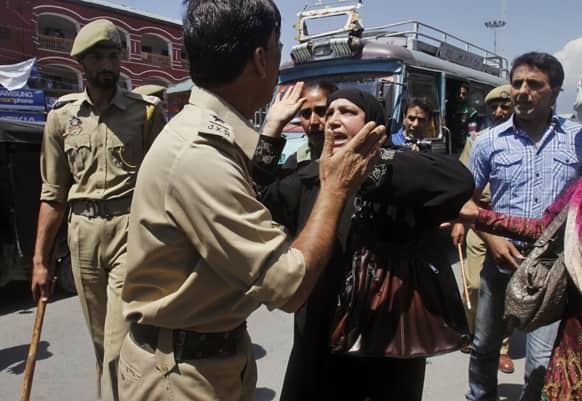 A Kashmiri government employee woman argues with a police officer during a protest in Srinagar. 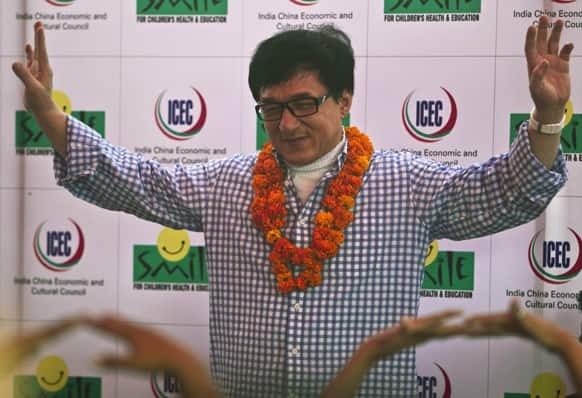 Hong Kong movie star Jackie Chan gestures during his visit at the non-governmental organization Smile Foundation in New Delhi. 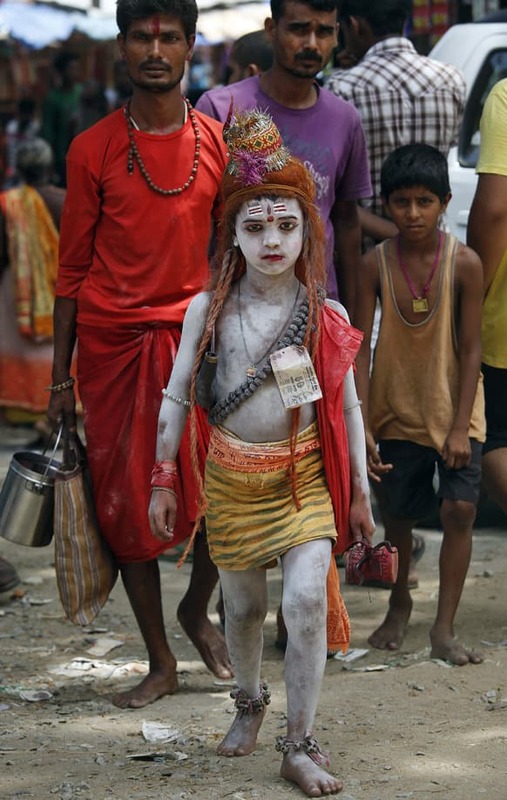 A young Indian child, dressed like Lord Shiva, stands among devotees at the Kamakhya temple in Guwahati.